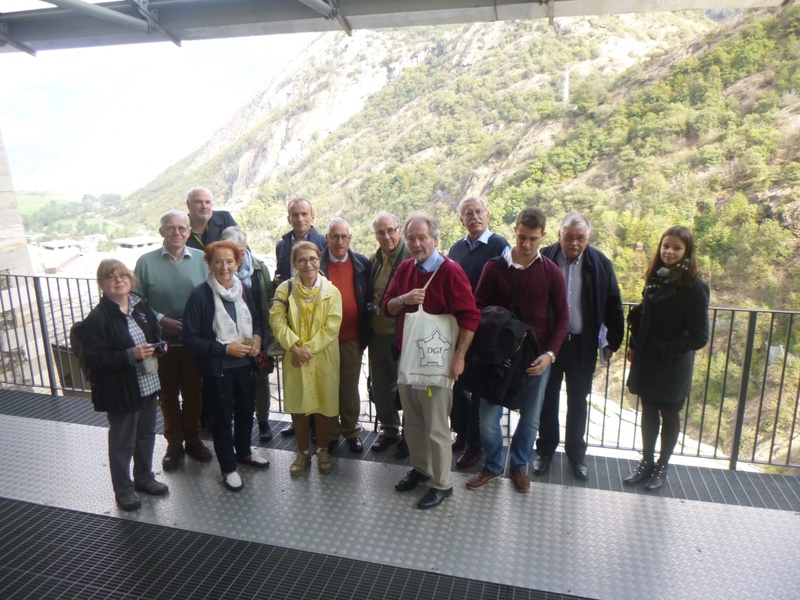 The 28th Annual Meeting of the International Fortress Council (IFC), the International Federation of Fortress Research Societies in Europe and the USA, took place from 11 to 14 October 2018 at the invitation of the "Associazione Forte di Bard" in the Italian Aosta Valley. The Fort of Bard dominates on a rock the river valley of Dora Baltea above the small village of Bard. The current fortress was built on the orders of King Charles Albert of Sardinia-Piedmont between 1830 and 1838, after the predecessor building was demolished and completely demolished in 1800 on the orders of Emperor Napoleon I. In May 1800, after their passage across the Great Saint Bernard, the French troops needed two weeks before they could continue their march following the massive shelling by the 400 men of the Austrian crew of the fort. Napoleon finally led the attack personally and after the capitulation of the occupation on 1 June 1800 he ordered the demolition of the fort. With great financial commitment of the regional administration, the imposing plant was restored in accordance with the monument and opened to visitors in 2006. The fortress now houses various exhibitions and three museums, including the Museo delle Alpi / Musée des Alpes, which informs about the nature and history of the settlement of the Western Alps, and the fortification museum of the Fortification in the Cantiere Ferdinando, designed by Alain Monferrand, President of Association Vauban. A café and a hotel as well as meeting facilities round off the tourist offer, which attracts 500,000 visitors a year. Thursday was again the general arrival day, when 15 participants from eight countries met for a casual, informal dinner and were warmly welcomed by the dedicated Forte di Bard team. On Friday, the expert group visited the extensive fortress complex with the three museums in the morning. 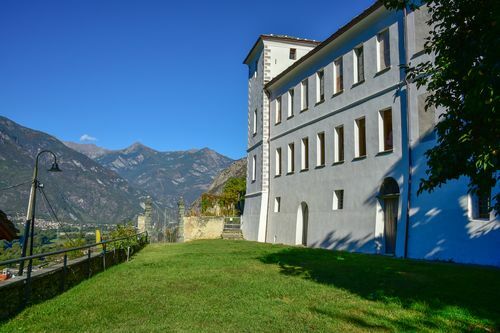 After a lunchtime snack, the 28th official working session of the IFC began in the Salle Olivero of the fortress Bard. Dominant topics were the possible admission of new members such as Greece and Poland, with representatives of both countries contributing brief presentations. Malta is expected to join the IFC in 2019. Due to recent events, the founding of a corresponding Italian association has been widely discussed. The continuation of the IFC project "Multilingual Fortress Dictionary" (MFD), for which funds are now to be raised, was also on the agenda. For dinner, at IFC meetings traditionally hosted by the hosting organisation, the Assosiazione di Barde invited IFC representatives to the Fort's restaurant "La Polveriera". Representatives of regional politics met there and the IFC was welcomed by the director of the Forte di Bard. M. C. Ronc. 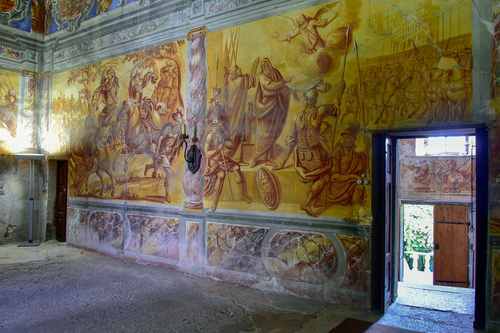 On Saturday morning, the IFC group had the opportunity to visit the Castello Vallaise d'Arnad under the direction of the local monument conservator, a restored nobility seat with exceptionally rich wall and ceiling paintings. One reason for inviting the IFC was the initiative of the energetic director of the "Associazione Forte di Bard". M. C. Ronc, who has asked the IFC for assistance in founding a national fortress research organisation in Italy. For this purpose, on Saturday afternoon, representatives of several Italian fortified towns, among others, from Verona, Alessendria, Venice, had gathered in the Forte di Bard for a first meeting, which also aroused the interest of the Italian television RAI 1. The IFC representatives gave their full support to this initiative, whose priorities had already been prepared in advance with the IFC, and will make their long-term experience and international contacts in the rescue and valorisation of historically important fortifications available to their Italian counterparts. First steps have already been taken. A close exchange between IFC and the Forte di Bard team was finally agreed by mutual agreement. Finally, we would like to thank the organizers of the conference, especially Dr. M.C. Ronc and her team on behalf of the IFC for this successful and result-oriented event as well as the warm welcome. Particularly noteworthy is also the commitment of Alain Monferrand at the conclusion of this meeting. The Board of the IFC hopes that this most welcome initiative will find fertile ground and soon host a national Italian Association of Fortress Researchers as a new, twelfth member of the IFC. In his over 1000 year long history as a state, Poland was on the border of Western and Eastern Europe, with all cultural and political consequences. In the matter of fortifications, in early Middle Age its natural resources have privileged earth-wooden constructions, which could not persist otherwise than in the form of archeological sites. Fist use of stones or bricks for castle construction has started in the 12th century, firstly in Silesia. Teutonic Order implementation on Polish northern border, than in captured Polish Pomerania confronted the country with specific type of brick fortifications, the best example of which is Malbork. Early artillery fortifications, developed in 16th century, were erected mainly on East-southern borders, facing Tartar and Ottoman threat, then more advanced, based on Italian style, started to be constructed to protect northern cities and aristocratic residences. 17th century was marked by spreading of old-Nederland school, as we can see till today in Gdansk and even in Smoleñsk, where the most advanced toward East "western-style" pentagonal citadel was constructed by king Vladislas IV Vasa. The surface of "Commonwealth of Kingdom of Poland and Grand Duchy of Lithuania", about 1 000 000 km2 at the beginning of 17th century has privileged the strategy of maneuver war and not static one, so expensive bastion fortresses were scattered and in case of wars often completed by large "camps retranches" for big, cavalry-dominated, armies. The crisis of the country in 18th century stopped the development of Polish fortifications, and, when culminated with partition between Russia, Austria and Prussia, brought to polish lands the constructions of occupants. Especially a big number of Frederic the Great fortresses, like Grudziadz or Srebrna Gora can still be seen. Napoleonic wars left behind new fortifications of Gdansk and, especially, Modlin, the biggest Napoleon's fortress in Europe, extended later by Russians. Still divided by occupants till First WW, Poland is retaining till now many Russian, German and Austrian fortresses, such as Grudziadz, Torun, Gizycko, Poznan, Nysa, Kozle, Krakow, Przemysl, Deblin, Warsaw, Osowiec. The period of WW II is represented as well by Polish fortifications as by Soviet (erected on soviet-occupied half of Poland) and German (constructed mainly before the war). Last constructions - anti-atomic centers of command erected for Soviet Army in case of the attack against the West and the shelters for nuclear heads are now, partially, opened to the public. In Poland there are many groups, especially of young people, fascinated by fortifications, but a national-wide organization, TPF (Society of Friends of Fortifications), born at he end of 1980, does not exist any more. The CDSG Publications committee produced four excellent quarterly Coast Defense Journal and CDSG Newsletter for our members during this period containing a grand total of 405 pages. The Coast Defense Journal includes articles on seacoast fortifications from around the world, so our editor, B.W. Smith would like to receive articles on coastal works from members of the various associations that make up the IFC. The CDSG Press committee handles the selling of back issues of our journal, our conference/tour notes, DVD of a range of coast artillery documents, and publishing reprints of key books on America's fortifications. We have added "Volume 31” (2017) of the Coast Defense Journal and CDSG Newsletter to our list of back issues. Additionally, we have placed the entire Journal/News collection on a DVD, which represents over 10,000 pages of coast defense material. The CDSG Press continues to sell reprints of important U.S. Army books on American coast defense and seacoast artillery. The committee's primary publishing effort this year has been the writing a new original book on “Guide to American Seacoast Forts” as a companion volume to our CDSG reference guide, "American Seacoast Defenses – 3nd Edition" (ASD3), which is a new edition published in 2015. We hope the guidebook to modern American seacoast forts will be published in 2019. The CDSG Epress continues to build its digital library with an extensive set of historic manuals, reports, records and documents on the harbor defenses of the United States Army. The documents have been broken down to a general collection of manuals and reports (CDSG Documents collection) and also the records of the various harbor defenses so you can order sets of records by coast/harbor defense or get the complete collection (CDSG Harbor Defense Collection). For example, we recently add a collection of Engineer Mimeographs on the construction of seacoast fortifications from roughly 1900 to 1920. The mimeographs are the on-site engineer’s progress reports back to the Office of the Chief of Engineers. The CDSG Fund is our vehicle to collect tax-deducible gifts from our membership and then provide these funds to other organizations to further their fortification projects that fit within the goals and objectives of the CDSG. Typical gifts that the committee disburses are funds to preserve and interpret coast defense structures and artifacts (such as shell hoists, generators, and surviving ordnance). The CDSG Fund provided grants during the last twelve months were to the Battleship New Jersey Memorial & Museum to assist in the cost of moving three historical 16-inch/50 battleship barrels to “good homes” so they would not be scrapped by the US Navy, to cover the cost of supplies to clean up the former Battery Guenther, 12-inch mortar battery at Fort Canby in Washington State, and funds to restore to firing condition two War of 1812 cannons at old Fort Jackson in Savannah, Georgia. The CDSG Fund has also continued the funded the purchase and donation of copies of the “Historic Fortification Preservation Handbook” published by the Washington State Parks to assist owners of former coast defense sites maintaining them. The CDSG Membership and CDSG Finance committees deal with internal functions such as gathering dues, keep track of our membership list, and paying our bills. In an effort to maintain membership growth, these committees promote new memberships with notices in related journals, T-shirt sales (CDSG Gear), and other promotional activities during the year. Our dues are $40 domestic and $90 international (due to the cost of the international surface postal rates). Membership was 384 at the end of 2017. The CDSG Preservation & Interpretation committee keeps track of threats to the former U.S. coast defense sites and promotes their historical signification and urges their preservation. Our efforts focus on educating the owners of such sites of their historical value, as well as pointing out existing laws and regulations that may govern the future use of such sites. The committee is currently monitoring the use of several former forts by private owners (such as Fort Ward, Fort Salisbury, Fort Montgomery, Fort St. Phillip, Fort Carroll, Fort McKinley, etc. ), the impact of several hurricanes of forts on both the Gulf and Atlantic coasts (Fort Pike, Fort Macomb, Fort Jackson, Fort Livingston, Fort Pickens, Fort Caswell), the National Park Service (NPS) management plans for several of their parks which would declare certain batteries as “ruins”, the redevelopment of the Presidio of San Francisco, CA, Fort Baker, CA, Fort Worden, WA, Fort Hancock, NJ, Fort DuPont, DE to private ventures or partnerships, the U.S. Army’s transfer of Fort Monroe, VA to the Commonwealth of Virginia, scrapping of metal at Fort Mills, Fort Drum, Fort Frank in Manila Bay, and encroaching commercial development of Fort Grant, Fort Kobbe, Fort Amador, and Fort Randolph in the former Panama Canal Zone. representative’s report back on the current state of affairs in their areas on a regular basis and help spread the word about the CDSG and its mission. The committee is creating a database of all coast defense site owners to improve our outreach to them. These reports are distributed through our website and newsletter. It is based on these reports that our other committees, as the CDSG Preservation and the CDSG Fund learn of threats or funding projects. defense. This committee handles the development of our website (www.cdsg.org) which provides information both on the CDSG and history of coast defense in the United States. In 2016 the website was replaced with newer software and a new look. Once such project is the conversion of all the primary coast artillery, quartermaster, and engineer records held in the U.S. National Archives to electronic form and be made available to membership. This massive effort has been underway for several years and the CDSG Epress is offering on Flash Drives of this data for sale until we complete an online delivery system. The CDSG Audit and CDSG Nominations committees both serve internal organization needs by annual reviewing our books and records and by selecting annual candidates to be elected to our board of directors. Our CDSG Conference committee is tasked with organizing our annual conference to a former U.S. harbor defense. From April 26th to April 27th, 2018, we had an excellent annual conference to visit the former harbor defenses of Columbia River in Oregon and Washington State. Our annual conferences follow a format of field trips during the day and presentations at night. They last from three to four days. Our 2019 annual conference is planned from April 10th to April 14th to the former defenses of Chesapeake Bay, while our 2020 annual conference is planned for April to the former defenses of New Orleans. We welcome members of the IFC member organizations to attend our conferences. The CDSG Tour committee conducts special tours on an occasion basis to sites outside the United States. We held an excellent special CDSG/FSG joint tour to Switzerland for August 11th to 19th, 2018 as guests of the ASMEM. We welcome members of IFC organizations to attend. As the CDSG liaison please contact me at tcmcgovern@att.net or 571-228-4193 if you have any questions about the CDSG. 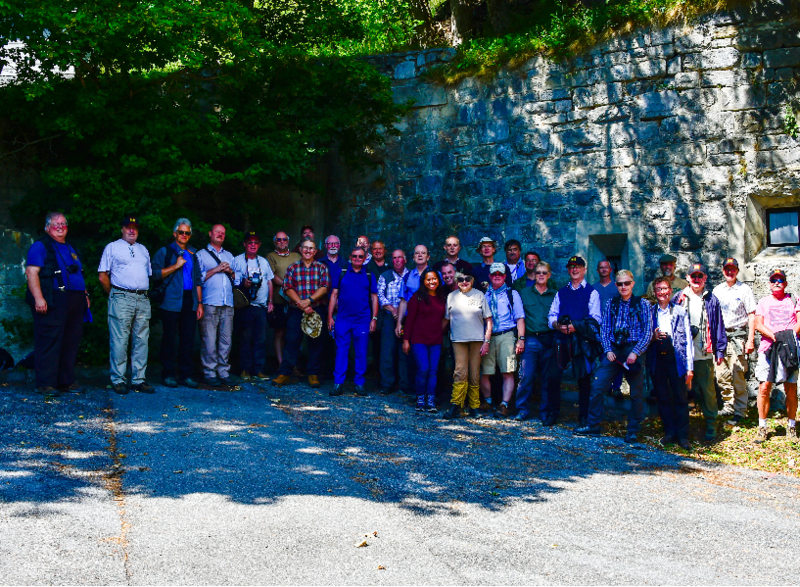 This is from the joint CDSG and FSG tour to the Defenses of Switzerland that was hosted by ASMEM in August 2018. Three IFC associations working together to have a joint tour. Example of what the IFC members can do more of in the future. Membership: Numbers have dropped slightly to about 530, but this is due in part to a more rigorous check on members in relation to our new web site. It is assessed that some of the lapsed members will re-join later. Nevertheless, there is an overall decline in membership numbers and a dearth of new younger members. The annual MEMBERS DAY was held in London in 4th June 2016, when 25 members, some of whom made presentations on diverse subjects from the Defences of Gibraltar to early American Forts. It is believed putting back this meeting to June, rather than the usual April, may have impacted on the number attending. Publications: FORT 44 (2015) the international journal of fortification has just been sent out to members. The magazine of the group, Casemate, is published every four months. The September issue has just been delivered to members. Guide booklets for the study tour of the Balearic Islands and the conference at Chichester/Portsmouth have also been published and distributed to interested parties. The FSG CONFERENCE and AGM was held at the University of Chichester between the 3rd and 5th of September when 43 members visited various fortifications and other military sites around Portsmouth. In 2017 we will conduct a full Study Tour to Malta and a shorter tour will be made to Alderney, Channel Islands. As with many organisations, the Fortress Study Group is adapting to the new digital era and advent of social media as a significant medium. Considerable effort have been made in the last year to increase the digital profile of the FSG. FSG Website: The web site has been redesigned over the last few months and is still a work in process. The number of individual visitors per month to the FSG website increased to around 550 with 57% being new visitors. This is slightly up from the old web site which was usually about 450- per month. Analysis of the traffic reveals that 45% of the visits come from the US and 33% from the UK. Interest by the rest of Europe is minimal, with German and Spain having 1.48% of the traffic each. FSG Facebook: The FSG now has an active Facebook Page and this now has in excess of 960 and a reach going above 3,000 people. This can be developed further. Defence of Gibraltar: This is an active web site, intended to plot military installations in Gibraltar. There are now in excess of 630 items mapped on the web site and it is growing steadily. This site has about 260 visits a month, predominantly from the US and UK (90%) and marginal interest from the rest of Europe apart from Spain with 2.19%. Nevertheless, this is believed to be a worthwhile effort in the digital environment. FSG Twitter: Not a major success but at least we are in the space. There are presently 171 Followers and we Follow 61. A total of 273 Tweets sent. Probably needs integrating with the web site at some stage. The FSG has a public access Library, held at Fort Nelson, which has had no visits and only one request for access (which was thwarted due to a rival supplier of info being found). There is now a complete catalogue available on the website. The Library appears now to be a “memory pod” and unused. It’s value is very moot. Consideration is being given to handing over the collection to the Royal Armouries at Fort Nelson. Gordon Fordyce left a considerable amount of money with the FSG to be to support appropriate works. Some of this money he has specifically designated by distributed by the FSG to named organisation in France. We have sought the assistance of the Association Vauban in identifying and contacting these organisations. As previously reported the FSG now makes awards to various bodies for their work in restoring and re-using fortifications in a sympathetic way. Awards have been made to various organisations including Cap Rocatt Hotel and Chapel Bay Fort. We are presently drawing up a more detailed criterion for awarding these plaques and any grants. We are currently attempting to amend our constitution, primarily to bring it into line with current legislation – as we are a registered charity - which has changed over the last decade. It would appear that there is now a shortage of volunteers to run the organisation at a national level and even less interest at a regional level. We are currently having problems finding a new Treasurer and many of the older volunteers are now withdrawing. La Rochelle, Gibraltar, Canada, Taunton, Blaye, Vis, Malaysia, Menorca and Norway. The magazine of the group, Casemate, is published every four months. - 151 members, 150 from the Czech Republic and one from Germany. Continuous cooperation with several regional societies in the Czech Republic. - Two gatherings - in May a visit to the light fortifications from the years 1937-1938 in Southern Bohemia and, in November a meeting in Prague. - Three volumes of our Magazine: OIN. - Three trips to: Alsace, Sicily and Denmark. - Two gatherings – in May in Northern Bohemia visiting the heavy fortifications from the years 1937-1938, in November a meeting in Prague. Nacionalna Udruga za Fortifikacije N.U.F. In 2015 Nacionalna Udruga za Fortifikacije continued cooperation with various organizations and institutions as well local as international. On a local scale, NUF focused on raising awareness about importance of national heritage in Croatia among professional and as well as non-professional community members. 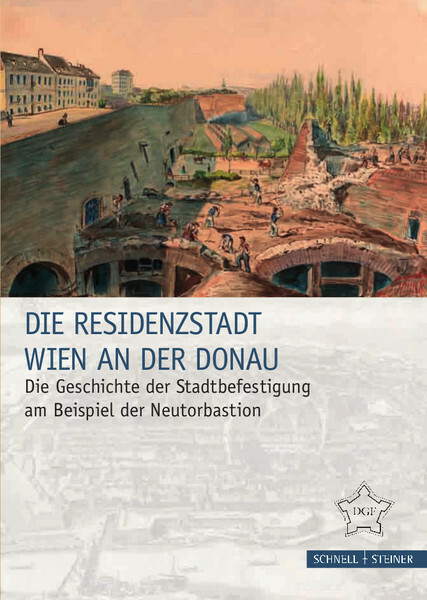 - Debate “Pula - Fortification system, the main naval port of the Austro-Hungarian Empire”. - Discussion about the appropriate care for the historical legacy of the war. - Presentation of outcomes of volunteer actions of cleaning the fortifications in and around Pula organized by Mr. Zlatko Devedžić. NUF organized and participated in a professional study trip in Topusko fortified monastery remains of ramparts. Besides local activities, NUF representatives attended study trip in Komarno, Slovakia and an international conference in Hungary which took place on 26 - 27th October, 2015. These excursions went to Doesburg and Zutphen (including WW II history), AtlanticWall Scheldt (Walcheren-Flushing) and the Amsterdam reduit (Stelling van Amsterdam), Fort bij Uithoorn, Fort aan de Drecht and Fort bij De Kwakel. The national meeting was organised in the Maastricht fortifications. Preparations for the nomination of the Roman defence line along the Rhine river, the Limes Netherlands as UNESCO World Heritage. Nomination of the New Dutch Waterline, related to the Stelling van Amsterdam. The 2018 Open Bunkerday (Atlantic Wall) was held in June in the Netherlands, Belgium and France. The Statutes were changed and now make Menno van Coehoorn active in the preservation of all fortifications, including those still used by the armed forces, and all Cold War relics. Together with Belgian Simon Stevin a working Group has been installed to start study of the Dutch barrier. 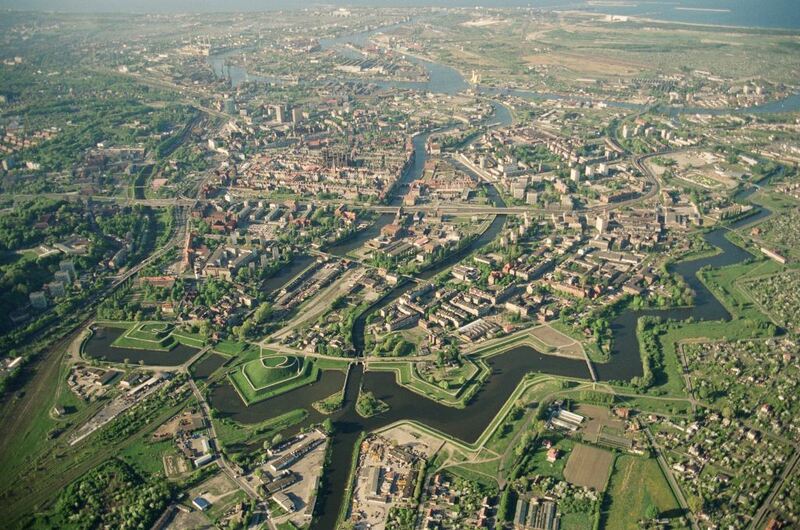 www.coehoorn.nl, including the Multilingual Fortification Dictionary, and a national database on fortifications. All books and documents can be found via the website; most of this material has been scanned and is available at low resolution. Dossier for the study tour in POLAND. Salin (Patrick) work on a compilation of the Frenches fortifications in Northern America (Canada and USA). This book must be published in Canada and France. Association Vauban help Patrick Salin to find a French editor. Finalization of the translation Italian to French with the support of A.V. for the book of Franco Carminati (delegate of AV for the Italy) about the Pinerolo Fortress. Publication of the book in the next weeks. MARCH 23 th – VAUBAN MEMORIAL DAY. This annual ceremony was held at the Royal Chapel of the Dome des Invalides in Paris, Alain MONFERRAND presiding. Among the persons present were Lieutenant General Bernard Fontan Head executive engineer of French Military Infrastructures, Lieutenant-General VITRY Association VAUBAN Vice-President, Army General Christophe de Saint Chamas, Governor of the Invalides, the Army Corp General Bernard Fontan, General Director of Defense Infra Service, “administrative” heir of Marechal Vauban, which help always our action and the Major General Dominique Cambournac, Army Heritage delegate which come fort this memorial day fort he first time, several of Marshal de Vauban’s family members, the board of the Association VAUBAN, the Fellow members of military engineers for infrastructures (IMI) and numerous visitors of the Royal Chapel. Conference at the Arnaga Orangery (Rostand Property). - The Bayonne Fortifications fron Lapurdum (antik place) tot he Vauban Defences by Olivier Ribeton, Chief Curator of the Basque Museum of Bayonne. - The story of Portalet Fort et the Restauration of the place by Bernard Choy, Mayor of Aydius (Commons Commauty of Haut Béarn) and Estelle Salvayre Sports Direction of the Haute Pyrenées Department. No date for the project : a conference by Patrick Salin and other specialists about the Frenches Fortifications in Northern America. The Association Vauban keeps collaborating with[MPf1] RESEAU VAUBAN particularly regarding the new Vauban sites submitted to the UNESCO to complete the Vauban Network of 2007 (Lille, Le Quesnoy, Brisach). The Association Vauban work also with the IFC Board (welcome of the Board Meeting of Februar 15th and on proposition of the A.V. President, M. Alain Monferrand, work to organize in relation of the IFC Team the IFC Congress in Italy at Bard (Bard fortress in Aoste Valley) with the perspective to join Italian association to the IFC). Two issues “Festungsjournal”, Nr. 52, 53. 37th DGF Annual Meeting in Magdeburg took place in Magdeburg from 23th to 25th September 2018. The subject: “Artillery in fortresses and siege artillery”. The 38th DGF Annual Meeting will take place in Esslingen from 13th to 15th September 2019 in Esslingen. 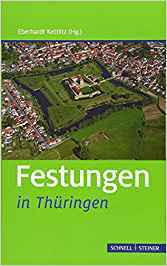 Subject: “Early Fortifications in south-west Germany 1450-1620”. Report before restauration works in Jülich, Brückenkopf for 2019. Member Assembly meeting International Fortress Council (IFC)16 October 2015. 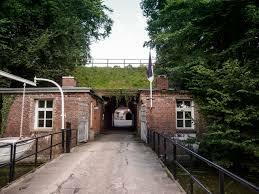 Fort of Haasdonk, Fort 5 and the German WW 2 bunker park Den Brandt. Participation to the vtbKultuur General Assemblies 21/03/2015, 12/09/2015 en 5/12/2015. Participation to Herita General Assemblies 26/03/2015 en 17/12/2015. 21/11/2015: 50 years of ICOMOS Brussels : participation to the meeting. 19-08-15: Reconnaissance To main resistance line of the Spanish Civil War in Palamos. 12-08-15: Reconnaissance 5 days Atlantikwall Somme/Normandy. 22-08-2015 : Reconnaissance Fort Haasdonk. Fort Lillo, Redoute Smoutakker and Antwerp Safety belt. 5 Edegem. Overall organisation of a public searching game. 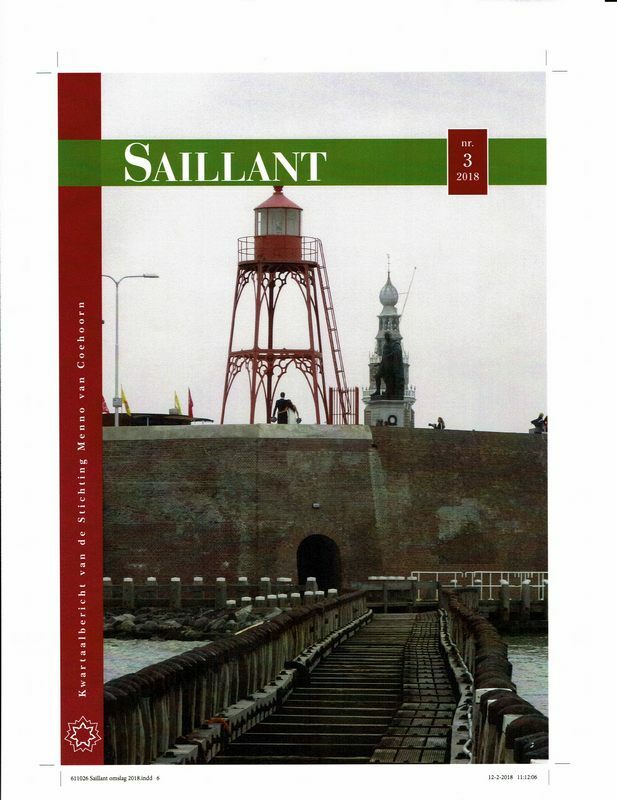 17-09-15: Presentation by Frank Philippart about the Atlantikwall in Oostende. 20-06-15: Exclusive presentation and visit at Fort Duffel. German bunker park Den Brandt. Fortress belt Antwerp in cooperation with Province of Antwerp. Project “Discover Antwerp Fortified – Tourism Flanders. Edegem. Overall organisation of a public searching game. Fortendag 2015 took place in Raversyde Ostend. Participants were very positive about the reception and organisation of the Fortress Day. 2.8. Digital unlocking of the Simon Stevin archive. bound members and recruit new members and supporters. the public unlocking of fortified structures. has the intention to build a home on it. includes the bunker in his construction plans and will stay accessible on demand. reconstruction of the canal. This bunkers had an historical role in the fights 19144. Therefore the bunkers should be remained. The city wants to take the necessary measures. A conservation file for the bunkers was formulated by Simon Stevin V.V.C. official moment related to 100 years Bunkerlinie (2017). The Defence of Costa Brava Central during the Spanish Civil War. – George Melis. including plan, information and GPS download. 8 articles, 17 books, 1 DVD, 4 flyers, 24 magazines. The personal archive of former president Robert Gils was added to the Simon Stevin V.V.C. Festung Olmuetz) by Michael Viktořík; Veduta, České Budějovice 2018.
geographic scope of the Austro-Hungarian Empire. 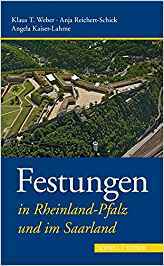 fortifications in Germany (Mainz), Tyrol (Nauders, Franzensfeste) and Verona (Italy). The International Fortress Council (IFC) was founded in 1989 by the following organisations: Simon Stevin VVC (Belgium; VVC stands for Vlaams Vestingbouwkundig Centrum or Flemish Fortress Centre); Deutsche Gesellschaft für Festungsforschung (Germany); Fortress Study Group (U.K.), and the initiator, the Stichting Menno van Coehoorn (The Netherlands). Later similar organisations joined the IFC: Association Vauban (France); Nacionalna Udrug za Fortifikacije (Croatia), Czech Association for Military History (Czech Republic), Frënn vun der Festungsgeschicht Lëtzebuerg (Luxemburg), Association Saint-Maurice d’Etudes Militaires (Switzerland); Coast Defence Study Group (USA). The Österreichische Gesellschaft für Festungsforschung (Austrian Society for Fortification Research) and the Fondazzjoni Wirt Artna (Malta Heritage Trust) are joining the IFC. The IFC unites these organisations from various countries engaged in the protection and study of their national fortified heritage as well as spreading the knowledge about it. Within the IFC these various organisations exchange their knowledge and experiences in that field. If needed they give mutual support. One of the means the IFC has to spread their knowledge on fortifications is the Multilingual Fortification Dictionary (MFD). The initiative for founding this dictionary came from Mr. Carlos Scheltema, honorary member of the Stichting Menno van Coehoorn and ICOMOS, in 2005. This digital dictionary (see http://www.internationalfortresscouncil.org/mfd.html, screenshot at the end of this message) offers pictures and translations of various components of fortifications from different periods in time. The user can translate a specific term into a certain language or learn the term he or she is looking for by clicking on the picture. The available languages are: Dutch, English, German, French, Croatian, Czech, Polish, Lithuanian, Spanish, Portuguese and Italian. The dictionary has been frequently visited and used over the years, it is a ‘proven concept’. Due to various circumstances work on the dictionary came to a standstill. Apart from that the layout of the dictionary’s website is outdated. The IFC plans on restarting the work on the dictionary and giving the website a new and modern look. Right now the dictionary consists of loose terms and black and white pictures. The new site will turn this into a coherent system. On a starting page, showing coloured 3D models, various fortification systems will be shown. By clicking on them the user can learn the term for any chosen specific part, but will be able to learn about the complete system as well. From there the user can go deeper into various details and cross-reference them to other fortification system. This in as many different languages as possible. The means necessary for this ambitious project go beyond those of the IFC, both technically and financially. By means of this proposal we specifically look for cooperation with the Efforts network. We believe collaboration with Efforts can expand our network of translators and help us furthering the already established contacts with the artists and designers needed to build the site and provide the artwork. Apart from that we hope the collaboration will help us find the necessary financial means from third parties (European Union) as well. The IFC will coordinate the work and put in the knowledge of various fortifications systems. The information that will become available on the site will help the Efforts members. It will provide them with the knowledge and terminology needed for writing plans, research reports and the translation of publications to spread within the network and beyond. It could be an imprtant pillar for a stronger bond between Efforts and IFC.